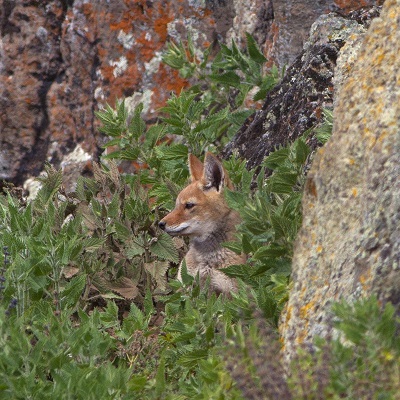 Found only in a handful of scattered mountain pockets in Ethiopia, the remaining 500 Ethiopian wolves are suffering from habitat loss, disease and persecution. 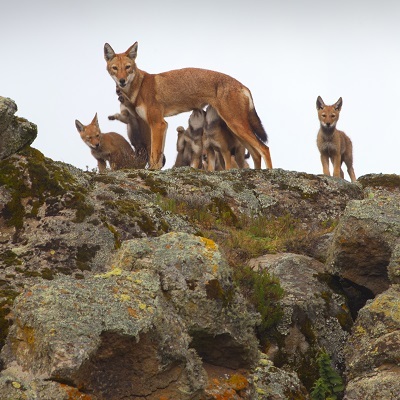 The goal of the Ethiopian Wolf Conservation Programme is the conservation of the Ethiopian wolf and its Afroalpine habitats by counteracting threats to the survival of the wolves and promoting the conservation of Afroalpine ecosystems. Work is centred on capacity building, including funding Ethiopian nationals to receive training nationally and abroad and gain field experience working with the EWCP field team; on monitoring the wolves and the use of afroalpine resources; disease prevention and control (directly benefiting the community as well as the wolves); community education; habitat protection support; and population management. In addition to the capacity building undertaken by the project, the EWCP has also helped to attract funds to secure the Bale Mountains National Park and is looking to develop eco-tourism in the area – all these actions being compatible with the project’s aim of less reliance on external funding and management - and eventual self-sufficiency. 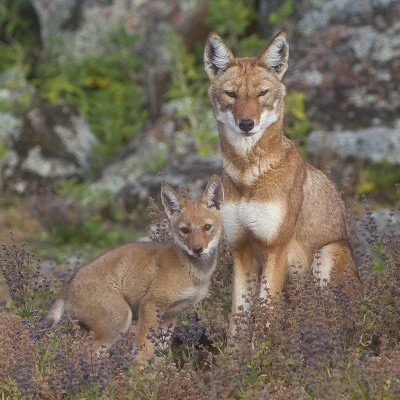 Born Free has supported the vital work of the Ethiopian Wolf Conservation Programme since 1995. The EWCP is now a global initiative drawing together partners and expertise from all over the world who work closely together with the local communities.